Hello Bloggers, in this session i will share some important advance SEO Tips for Blogspot blogger. We know, Blogspot is free blogging platform. Any one can make a blog easily with blogspot. But a big number of people do not know how to optimize their blog for SEO (Search Engine Optimization). SEO for blogspot all things are doing here manually. Cause here we can't use any plugins like wordpress. When we talk about Blogspot vs. WordPress, we always give WordPress an edge in the terms of SEO. By adding new SEO features in BlogSpot, Google have fixed the SEO difference by a great extent. By changing this SEO features blogger can easily optimize their blog and get better search results. So seo blogspot is good blog in search engines indeed. Now lets start the tutorial. 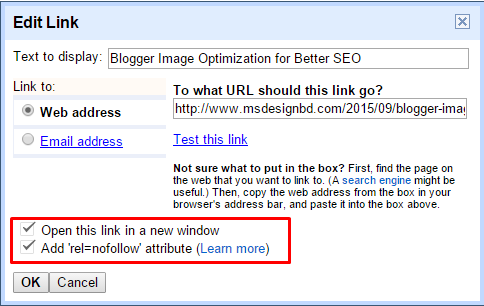 How to Optimize your blog SEO and How to Enable BlogSpot Advanced SEO settings? Today we will discuss all of above features. Carefully follow all steps. Then you should learn easily how to use and active these features. A 404 page is usually a error pages or a visitor land on a page, which doesn’t existed. This custom 404 message will let understood your visitors that the page is broken or this page still not existed. You create the custom 404 error message using HTML, which you can display on your Blogger 404 pages. Now, it’s time for you to use your creativity and design something awesome. Go to blogger dashboard > Select your blog > Settings > Search preference > Custom Page Not Found and past below text. <b>Whoops</b> somethings went wrong. Sorry, the page you were looking for in this blog does not exist. This is very useful setting for every blogger. When any visitor comes from any 3rd party site linked to your site and added a link that doesn’t exist or if you remove a page and want to redirect the traffic to new post or new link. You can use Google Webmaster tool for find all 404 error pages and set the redirection. It might be a little lengthy process, but in some cases it is very useful to tap the missing traffic and convert them into real traffic. Custom Robots.txt is an another important setting of blogger. If you want to index your content on google, then custom robot.txt is must be set. Custom Robot TXT help you for indexing your url on google. By setting this option you should get better result from Search Engines. Note: change YOUR-SITE.com with your blog url. 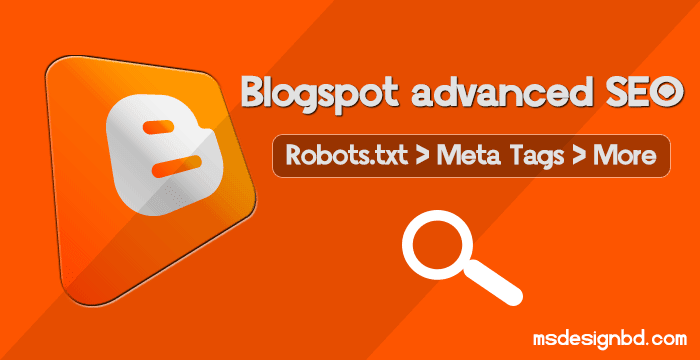 For everyone to understand i shared below video tutorial about Robots.txt, Meta Tag and More Blogspot Advanced SEO Tips. It may again helpful for newbie all bloggers. ধন্যবাদ আপনার পোস্ট এর জন্য।অনেক সুন্দর করে লিখেছেন। এতদিন জানা না থাকার কারনে অপশনগুলি কখনও ব্যবহার করা হয়নি। আজ প্রথম করলাম, দেখা যাক কেমন ফল পাওয়া যায়, আশা রাখি ভালোই হবে। শুধু একটি বিষয় জানতে চাই যে, ” Disallow: /search “ এটি Disallow করা কি Important,আমি যদি আমার ব্লগ এর লেবেল গুলো কে সার্চ ইঞ্জিনে আনতে চাই তাহলে কি করা উচিৎ ? very helpful post thanks for sharing this detailed guid.